Each gallery can contain photographic images, or embedded videos, or a combination of both. 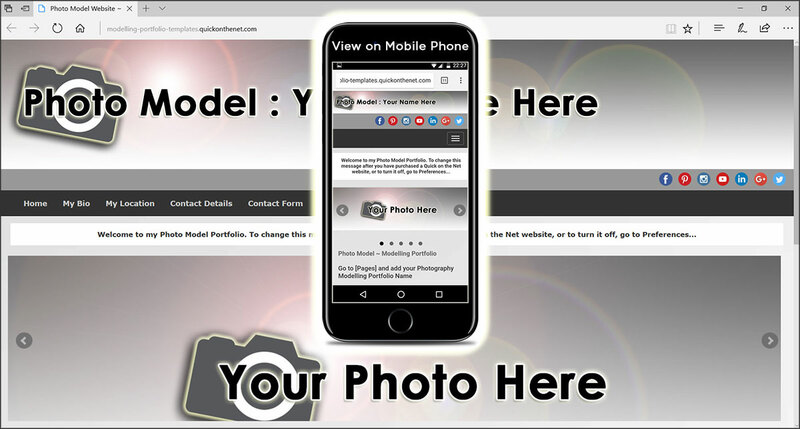 Available in black, this modelling portfolio website template is an online portfolio of your photos and videos. For no extra charge, the wording in the gallery logo picture (at the top and bottom of the screen) can be changed to suit your needs. Or, you can simply add your own logo image. The pictures and videos in your website are fully searchable, based on the keywords you add to each picture. If you prefer to keep your portfolio private, you can put a password on the home page of your site. You can also add your creative touch by uploading your own pictures, to be used as menu buttons.